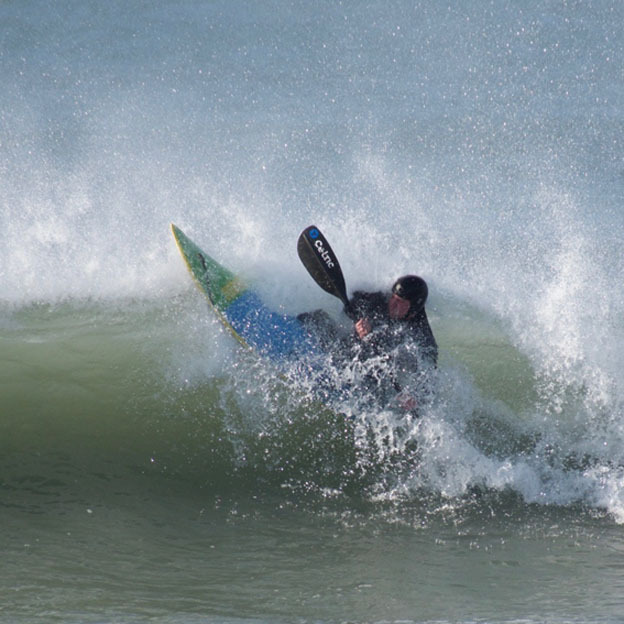 Pembrokeshire has great surf and the club has a strong and growing surf interest. Initially most paddlers will try out surfing in the more dynamic river boats which is superb fun and a great way to increase your skill base in rough water. Moving to high performance surf kayaks brings a completely new exhilarating experience, I did not know you could go upside down that fast!. As a niche sport there is relatively little information. The Surf Kayak Skills website provides the best information.